Born January 11, 1968 in the U.S.A.
Brusally El Azrak was a wonderful, kind and handsome stallion. I got to know him when I was working at Slängsboda Arabians in Kentucky, US. "Azzie" was the most polite and sweet stallion and you could feel he'd been well schooled in ridden performance when taking a ride down the beautiful paths of Slängsboda. Brusally El Azrak was imported in utero to the U.S.A. in 1967. 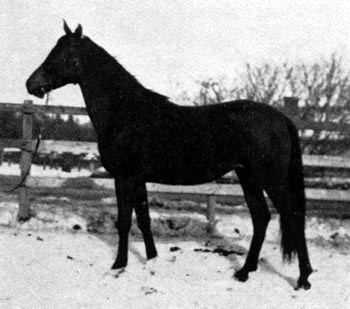 Azzie sired 97 foals during his time as a breeding stallion in the US and Canada. In the early 1990's he was gelded, with his age he had become sterile but still healthy. His last owners were John R & Rhonda M Leach, KY, US. The Leaches, have a handicapped children's therapy center where horses are used. Azzie became a beloved show horse for several years for those proud children and won the hearts of everyone who had the privilege of knowing him in that new career. Thank you Janice, for letting me know about Azzie's life with the Leaches, it makes me so happy! Brusally El Azrak was by the excellent racing stallion El Azrak. El Azrak was born in 1960, bred by Albigowa in Poland and died in 1980. He raced 31 times with 4 wins and 20 placings. El Azrak is also the sire of the wonderful breeding stallion Banat (1967) - used in Polish and British breeding programs, British National Champion Stallion and sold at the 1984 Polish Prestige sale for $525.000. Other fine stallions sired by El Azrak are Eunizar (1974) - exported to GFR and later to the U.S.A. and Danser (1974) - exported to Sweden. 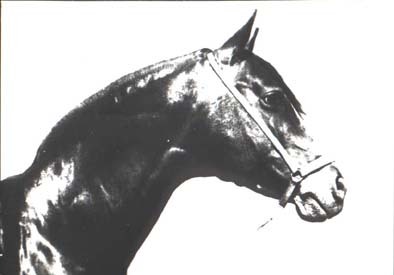 El Azrak was used in the Polish breeding program 1973-1974. Brusally El Azrak's dam, Salina (known as *Salinaa in the US), was imported to the U.S.A. in 1967, carrying Brusally El Azrak. In Poland she gave birth to Salazar (1966) - exported to GFR and Saletra (1967) - exported to the U.S.A.
Several of Brusally El Azrak's offspring have fine show records in both halter and performance, just a few are mentioned in the list below. 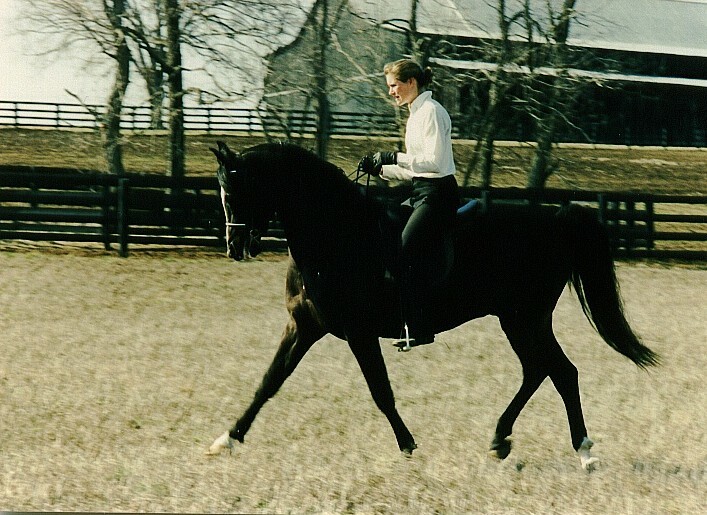 Jawarr + was Canadian National Reserve Champion in Hunter Pleasure ATR and Show Hack Open and Canadian National Champion in the Open Hunter Pleasure in 1992. 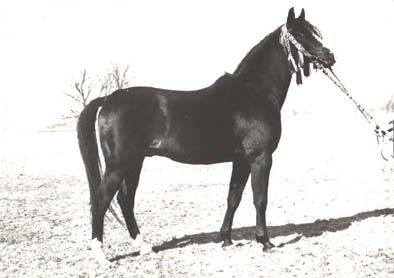 He won many Championships, Reserves and Top Ten in Scottsdale and put Brusally El Azrak on the Top Ten Performance Sires list for North America that year. Jadors Wahdani 1978 Mare Grey Silver Tiarah Twin! 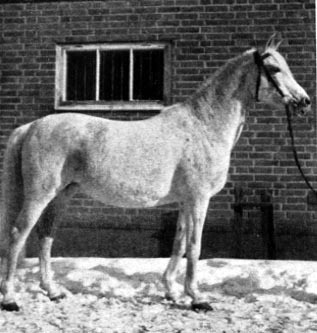 Jadors El Dakan 1978 Stallion Grey Silver Tiarah Twin!